If you love grapes now with this grape diet you can enjoy eating them and lose weight at the same time. This grape detoxification diet is easy to follow and it will perform a gentle natural cleanse with the help of your favorite fruit. 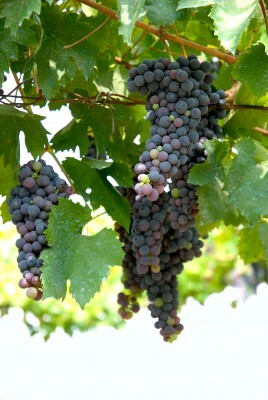 Grapes are among most popular fruits that are used in many different cuisines around the globe. There are over 3,000 different grape species but most of them come from Mediterranean region. Grapes are a great source of minerals and vitamins. Nutrients and antioxidants found in grapes have been linked with disease prevention including heart disease, viral infections, cancer, degenerative nerve disease and many more. The treatment and prevention of diseases with the help of grapes is called ampelotherapy. Dietitians commonly suggest staying away from this little fruit while losing weight as they contain relatively large amount of sugars, but as with any food if you include grapes in your healthy everyday diet and eat them in moderation, you will only benefit. Grapes are diuretic: They’re a diuretic, rich in potassium and low in salt, so they help the body rid itself of toxins through urine. They also have a laxative effect because of the fiber in the skin and seeds (0,3 g per 100 g). Grapes give you energy: it has high sugar content (17 g per 100 g). It contains Vitamin B which absorbs these sugars and helps keep the muscular and nervous systems working well. Grapes are ideal for children and sporty types. Grape diet has originated from the origin of grapes – Mediterranean region. People have used grapes for weight loss and detoxification there for centuries. Grapes help to cleanse digestive tract, prevent constipation and kidney disease. This healthy detoxification diet is so easy! All you need to do is eat lots of your favorite fruit and drink lots of water. The first day you need to eat 1 pound of grapes. Try to break up this amount into many small servings so that you can eat every two hours. Choose any grapes you like – it can be white, red or pink grapes, but prefer organic if it is available. You can eat your grapes with seeds, as grape seeds contain the most valuable nutrients. Just make sure to chew them up for easier digestion. If you have constipation problems and don’t have a regular stool, chose seedless grapes as they can make you constipated. Second day eat about 3 pounds of grapes;but drink a little less water as grapes already have lots of water in them. The thirds day eat 4 pounds of grapes. You can snack on them all day long. Eating frequently will speed up your metabolism and you will burn fat even faster. This healthy detoxification diet is not recommended for people who are not used to cleansing diets or have any health conditions. Try to eat in moderation a day prior to this diet to prepare your body for the next seven days. Go vegan for one day if you can. For the next seven days eat about 3 pounds of grapes a day and drink at least 6 cups of good quality water. You may also drink herbal teas with no sugar of course. Tip: wash your grapes thoroughly to make sure you wash all pesticides of them. I recommend washing them with hot water right before eating. If your condition worsens while on the grape diet, stop it and gradually return to your normal healthy eating habits. If you do everything right you will detoxify your body, purify your blood and lose weight. Three day healthy detoxification diet will help you lose about 2-3 pounds and the seven day healthy detoxification diet will shed about 8 pounds of your weight.